In the first two articles in this series we explored the importance of timing the mediation in an intellectual property dispute and mediator selection. Mediating too soon can mean there is too little information to allow an informed settlement decision. Mediating too late can mean unnecessary expense and entrenched positions. We further explored how the nature and stage of the case can help you to make a better timing decision. Next we focused on mediator selection, suggesting that you demand no less than a mediator who is skilled and experienced in intellectual property cases and also one who brings significant mediation skills and experience to the process. We will now address the next critical step of the mediation process: preparing for the mediation session. No two disputes are alike, so the process should be molded to fit the problem and the unique issues in the case. But a few general principles emerge. One approach that seems to work well in many cases, and particularly well in IP cases, is to focus the parties on the issues through the exchange of mediation statements, sharing with the opposing party and the mediator your side’s assessment of the case and settlement value of the case, as well as an exchange of opening offers. This process can be enhanced by encouraging the parties to provide a confidential and candid statement to the mediator of any other issues or concerns a party believes would be appropriate to help the mediator understand the dispute and find ways to guide a settlement. The flexibility of mediation can also be realized by helping the mediator explore various settlement options that wouldn’t necessarily be available in court including licenses, cross licenses, covenants not to sue, entry into a mutually beneficial supply relationship, and other creative solutions. The key virtue of the exchange of positions in advance of the mediation is to forego the time — and often unproductive emotions — generated by the first exchange of positions at the mediation itself. Exchanging written positions allows the parties to more objectively analyze the strengths and weaknesses of each party’s position and to begin to consider the “business case” for settlement. Similarly, the exchange of offers before the mediation helps to avoid the often time consuming and frustrating games of who goes first, whether the other parties’ offer was actually made in good faith because it was too low or two high to be serious, and other distracting disputes that often arise as the mediation session begins. In IP cases in particular, there is often a wealth of information the parties can make available to the mediator to help him or her understand the issues and guide the parties to a negotiated solution. Depending on the stage the case is in, in a patent case for example, the parties often will have exchanged infringement charts, claim construction statements, invalidity charts, and expert reports on liability and damages. There may be pretrial rulings on claim construction and other issues as well. Similarly, in a trademark case the parties may have exchanged survey reports and damages reports. This background will enable the mediator help the parties objectively evaluate their risks and possible rewards to arrive at reasonable settlement value for the case. Based on this preparation, the mediator may have questions or ideas to raise with the parties that will help move the parties toward a serious negotiation. The mediator will often find it of great benefit to contact counsel for each party to begin to understand the dynamics of the situation and the human side of the dispute. In short, the key to a successful IP mediation, as with any mediation, is careful and deliberate preparation that allows the parties to begin to understand and evaluate the business case for settlement. Appended to this article is a sample mediator’s letter outlining the mediation process based on the mediation of a few patent cases in which I have been involved (changed, of course, so the parties and dispute are not identifiable.) You might find it a useful checklist of matters to consider addressing in preparing for your next IP mediation. The above-entitled matter is set for mediation at the offices of Lindquist & Vennum LLP, 4200 IDS Center, Minneapolis, Minnesota, at 9 a.m., on April 1, 2014. Please come to the 42nd floor and ask for me there. I have attached for your review the form of mediation agreement I use. Please review it, execute it and send it to me by e-mail at dallgeyer@lindquist.com by March 15, 2014. If you have any questions about the Agreement, please let me know. Each side must have the actual decision makers for each side at the mediation. The mediation cannot be successful without their attendance and participation. Most parties find it helpful for me to outline the basic process I plan to use at the mediation. I normally begin the mediation with all parties in the same room for my opening remarks and to allow the parties to address some questions I may have. Please be prepared to address some questions as to the background of the case. Normally, I engage in shuttle diplomacy using separate caucuses, although I am likely to bring the lawyers together at times and may bring the parties together if that would be productive. Please let me know in advance of the mediation whether you have any strong feelings that opening statements would be productive. I find they usually are not, but occasionally they can be useful in the right case. 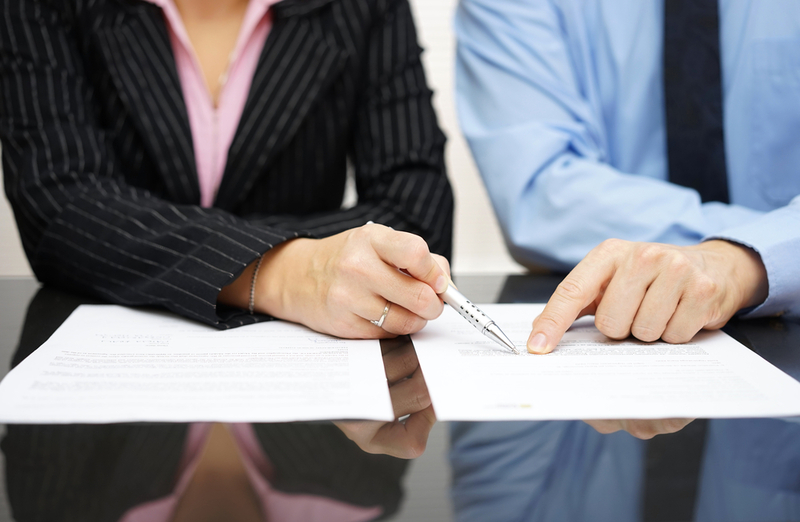 There are two things you must do before the mediation: exchange settlement offers and provide background letters. 1. Exchange of settlement positions. By March 15, 2014, please exchange settlement offers. That keeps us from taking time at the mediation to formulate initial positions. If you have already had an offer, the party who has not responded yet to the last offer should go first. If an offer has not yet been provided, plaintiff should go first. If you want to involve me in passing the offers, please let me know. a. Brief factual background of the matter. d. Your damages analysis. (If any damages reports have been exchanged, please provide the summary portion of the report for your side). e. A summary of any settlement discussions to date and last offer and response. g. Please provide a copy of the basic pleadings you have filed (complaint or answer/counterclaims), any key orders affecting the merits, and any of your briefing you believe to be particularly useful to an understanding of the merits. Please copy opposing counsel with the non-confidential letter. Also, you may provide me at the same time a brief confidential letter. The letter should address anything you are unwilling to tell the other side, but think will be helpful to getting the case settled. Do not, of course, provide this letter to the other side. I will keep its contents in confidence. I look forward to working with you on April 1, 2014. This entry was posted in IP Mediation and tagged IP mediation, mediation process, mediation session, mediator, settlement on January 15, 2015 by David Allgeyer.